Living in Southern Illinois, I am drawn to the amazing bluffs and cliffs in Giant City State Park. The site of "Three Boulders" is my favorite spot in the park, a restful place along a lovely walking trail. 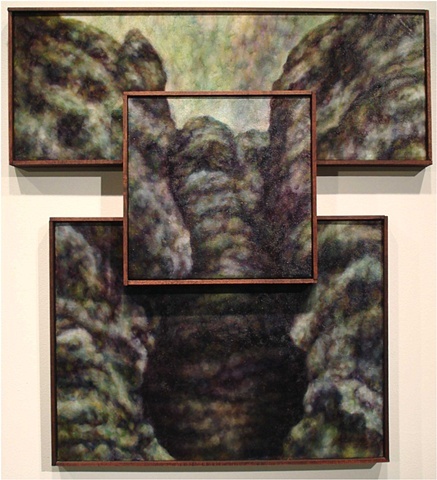 For this painting, I layered three canvases on top of another and framed each piece separately, even though the image ties each canvas into a cohesive painting.